I asked them to order for me, order something good. I trusted them. I had to. I could not understand the meu at all, and could not be bothered them having to transate it for me. I was sure they would order something delicious. The waitress came over, they placed their order, she went back to the kitchen. We could grab beer from the fridge in the back, large bottles of Taiwan Beer shared in tiny glasses. We kept pouring beer for each other. Japanese custom dictates you should never pour your own beer. The food arrived. Small portions, but so delicious. And since the portions were small we could order more. Try other dishes. The food kept coming until we all were full. It was so good. So tasty, a bit spicy. Lots of good beef. The bartender from the 58 Bar, we had been there earlier, also showed up. There was plenty of food left for him as well. I was so full when I finally stopped eating, breaking out in meat sweats, too full to even drink beer. We just sat there for a while, slowly digesting the feast we just had. 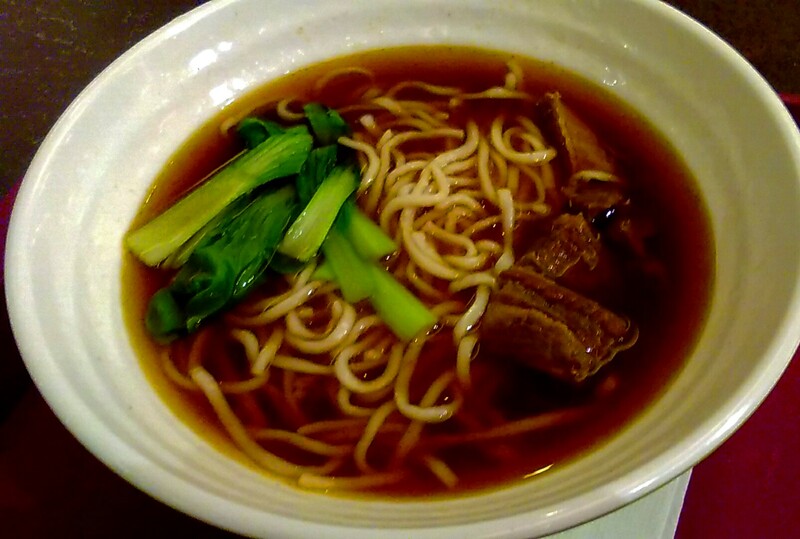 Beef Noodles is considered the national dish of Taiwan with an annual Beef Noodle festival held in Taipei every year. Beef noodles is a simple noodle soup, with beef, beef broth, and vegetables. Simple but cooked to perfection. 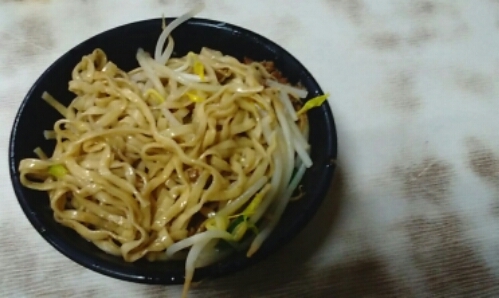 The Taiwanese style beef noodles also contains soy sauce, called braised beef noodles. This tasty snack is a perfect meal after a night out. Many Beef Noodle restaurants in Taiwan are open 24 hours. I returned to the restaurant a few nights later. Alone this time. There was no one to help me order. I picked a few dishes from the menu at random, some I thought i could remember we ordered the last time, others I had no idea what was. I helped myself to a beer, leaned back in my chair and waited for my food. My stay in Taiwan was soon coming to an end. Tomorrow would be my last day, a typhoon was coming. I did not know how bad it would be. My food arrived, i dug in. Just like last time, it was delicious. Perfectly cooked noodles, small portions of tender beef, a little bit spicy. I quickly finished what I had ordered, asked the waitress to bring me some more, something I had not tried yet. A few minutes later she returned with a curry and rice. I looked around for chop sticks, had not thought of that before, eaten with the fork provided. I found none. Could see the locals at the other tables had chop sticks. I should ask for some. But then I smelled the food, could not wait, picked up the fork and started eating.